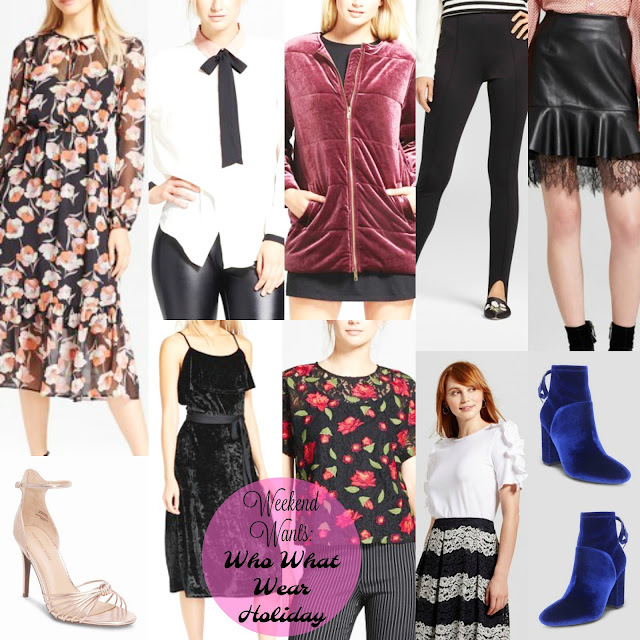 Weekend Wants: Who What Wear's Holiday 2017 Collection. I talk about Target A LOT around these parts. I buy a lot of my clothes from there and Vivian has a lot of Cat+Jack and Genuine Kids clothes from there. I love Target's Cat+Jack brand for kids. It has the most adorable clothes, shoes and hair accessories. They are all so cute, affordable and well-made for the price. I also like Target's new line A New Day. Other clothing brand favorite for me is Mossimo. And of course the dollar isle at Target always has cute trinkets, everyday things and seasonal items. Lately, Joanna Gaines' new home decor line Hearth and Hand has gained a lot of popularity and sales - it has many cute items for your home. But you know what is Target's best-kept (or in my case not-so-kept) secret: Who What Wear. 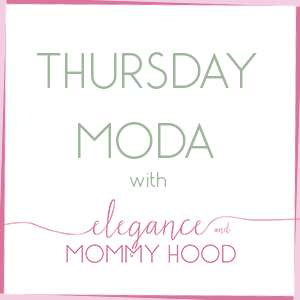 I have talked about Who What Wear a lot in my blog, over the last couple of years. This is such a stylish, modern, trendy, well-made, classic brand. I think it is the brand for all women. Stay-at-home moms, sporty moms, office career women, classic ladies, modern babes - every woman can find themselves in different pieces of this line. If you have never shopped Who What Wear at Target before - run, do NOT walk to your closest Target store or target.com. Currently (through Saturday December 9th), this line is Buy One Get One 50% OFF so you can score their beautiful Holiday pieces and Winter styles, on sale. Here are some outfits I styled last December wearing pieces from Who What Wear's 2016 Holiday Season. 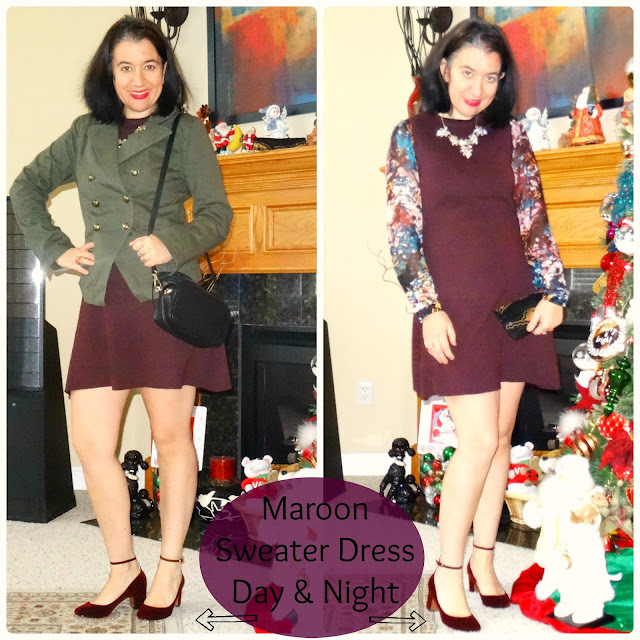 Burgundy Velvet Shoes, Sheer Burgundy Patterned Blouse + Olive Military Blazer are all from Who What Wear. Olive Green Midi Shirt Dress is by Who What Wear. Burgundy Velvet Clutch is from Who What Wear. Black Silky Floral Bomber Jacket is by Who What Wear. Navy Velvet Bow Back Sandals are from from Who What Wear. Navy Velvet Bow Back Sandals and Burgundy Velvet Clutch are by Who What Wear - hands down those are the most favorite shoes I ever purchased at Target and the best by WWW. Black+Gold Shimmer Wrap Dress, Olive Parka Coat, Burgundy Velvet Clutch and Navy Velvet Bow Back Sandals are all from Who What Wear - literally a head to toe outfit from this brand and my favorite Holiday Look for 2016. Ahh it was fun walking myself through these lovely Holiday Looks from 2016. 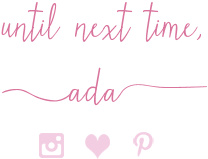 I cannot wait to see what Holiday Looks I come up with this year and blog them for you. And if you want to see more of my Christmas Home Style I got another flashback post for you from the other day. Happy Sunday you all and Happy December!